WIN! The ultimate hi-def TV! LG's new SL9000 Series TVs offer the thinnest sets and clearest picture, and they are incredibly energy-efficient. The stylish SL9000, with its unique flush-fitting screen and dazzling LED backlighting, is only 29.3mm thick, yet still manages to provide astounding picture quality with a 3,000,000:1 contrast ratio. It's also efficient enough to shave up to 40 per cent off your energy bill. Thanks to LG's ground-breaking LED technology, and innovative design, the SL9000 series has been able to slim down and swap the restricting frame for a seamless single layer of glass, which fits flush like an infinity swimming pool. 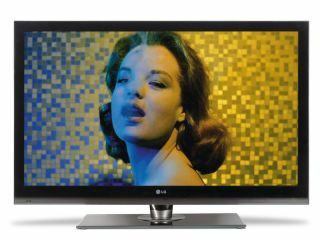 There are 42-inch and 47-inch models available, both of which come fully equipped with four HDMI ports to hook up your Blu-ray player and other devices. There's even Bluetooth compatibility, to wirelessly beam your latest snaps and music to the full-HD 1080p screen. In short, this is the ultimate hi-def experience for your home. Brilliant. Read TechRadar's LG 42SL9000 42" LCD TV review for more. LG offers so many cutting-edge TV technologies, from integrated Freesat HD tuners bringing subscription-free hi-def channels to picture-enhancing 100Hz processing, choosing the perfect set could be a little daunting. Don't panic, LG's simple step-by step online guide at www.lge.co.uk/tvguide will help you find your ideal LG TV in just a few quick clicks.